This pitfall isn’t necessarily exclusive to Emiquon and if you’ve put in enough time on the water, well, you’ll know exactly the guy I’m talking about. No, that’s not him in the picture above. The picture was just the best I had available to represent this nefarious character. In reality there is no specific individual named Mr. Emiquon. He’s really a collective identity for the unsavory types who ruin things for the vast majority who play by the rules. I’ve used this sort of term for years and simply substitute the appropriate body of water so there’s also been a Mr. Storey, a Mr. Bracken or a Mr. Mississippi. Sites have limits and regulations set by those with the background and knowledge required to effectively manage and protect the resource. Emiquon is no exception other than having more stringent rules and regulations than most other bodies of water. I’ve never had a problem with any such stipulations. In my opinion, if you are responsible and do your homework, the rules should come as no surprise so grin and bear it or go somewhere else. 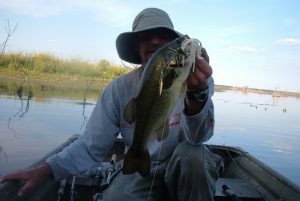 But I’m not a meat fisherman, rarely use livebait and grew up accustomed to on the water propulsion via a pair of oars. Thus the old school and arguably over protective approach at Emiquon doesn’t really bother me. Mr. Emiquon, however, usually sees things differently while failing to recognize that he’s part of the problem in the first place. 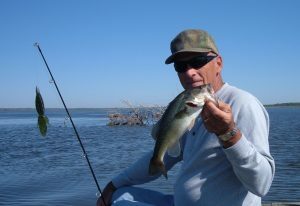 Perhaps you’ve run into him somewhere in your angling adventures. He’s the guy who thinks he owns the lake (hence the name) and that the rules don’t apply to him. 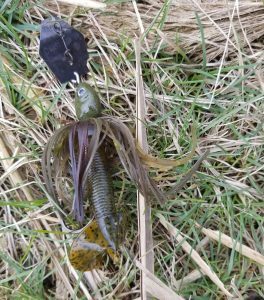 At worst he can be a recipe for disaster (exotic species, overharvest or accidents) or at the very least a nuisance to others who respect their fellow anglers and the shared resource. Dad and I crossed paths with a pair of the latter persuasion last fall as they cut right in front of us in order to fish the end of a ditch. Sure it’s open water to all but we’d been sitting on the spot for well over an hour and there’s plenty of other good water to fish down there. In fact, reports cite as much as 16 miles of drainage ditches running throughout the lakebed. Numerous areas on the lake were hotspots last year so the intrusion within 30 feet of our boat seemed totally unnecessary. We made several casts within splashing distance of their boat which was sitting right where we had been fishing but Mr. Emiquon and his buddy never batted an eye or even acknowledged our presence. Finally, Dad and I took the high road and found another spot; completely ridiculous. Technically, I guess it doesn’t have to be male anglers as there certainly could also be a Mrs. Emiquon. On that general subject, I did encounter a pair of young ladies this June who could have been in the running for the Miss Emiquon title. I spotted this fit, bikini clad duo a couple hundred yards away as they enjoyed an afternoon of sunbathing and fishing. Unlike Mr. Emiquon they apparently had no desire to fish near the guy with the funny hat although I kept an eye out just in case. As such, I don’t have any photos to accompany this posting. I suppose that’s probably for the best as it saved me having to explain to Julie how exactly these images would enhance my Emiquon Top 10 list. Emiquon has led a rather precarious existence from the outset due to its proximity to the Illinois River. 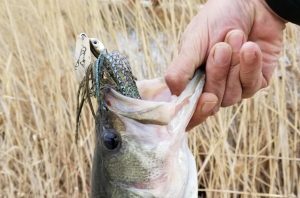 As an angler, I had concerns about how long the incredible fishing would last in the face of a collection of natural and man-made challenges. 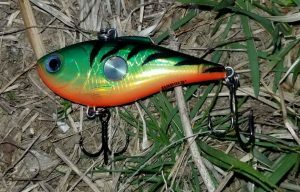 One need not look far in the regional outdoor news or for that matter even the national headlines to find reports of the latest scourge to hit the waterways of Illinois. 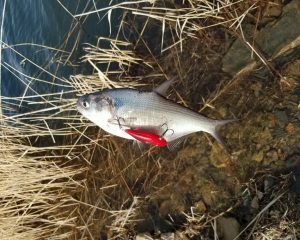 Often grouped together as Asian carp, a pair of prolific exotics known more specifically as silver and bighead carp has currently invaded a number of the state’s river systems. 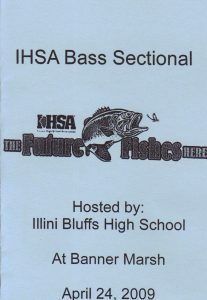 There’s plenty of information out there on these fish written by those much more knowledgeable than yours truly. Therefore, I’ll leave the particulars and the debates to someone else. Only a narrow levee separates Emiquon from the burgeoning population that now calls the Illinois River and the Spoon River home. You only have to look about eighty miles upriver to the Hennepin-Hopper complex to get a feel for the disruptive nature of some members of the carp family. This similar wetland/backwater lake restoration project was undertaken in the early 2000’s and by 2004 was open for limited public fishing. However, by 2009 the common carp had so significantly disrupted the habitat that a total rehabilitation was warranted. I’m not big on gloom and doom (see global warming) but it doesn’t take much of a leap to see that the carp next door certainly have the potential to foul things up in a hurry. 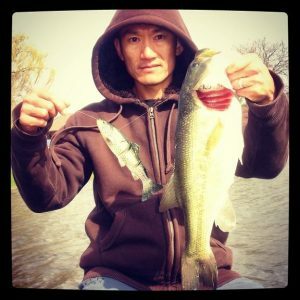 (2019 note: the Hennepin-Hopper complex is back in business with positive reports on the fishery, particularly for northern pike). Nature does its thing when given a window of opportunity. For as long as I can remember I’ve been repeatedly punctured while wading through the natural hedge known as multiflora rose. More recently I trample the ever growing groves of garlic mustard in search of my already elusive morel mushrooms and spy the purple traps hanging around in local ash trees. 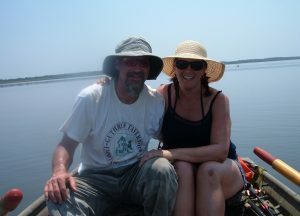 In addition, Dad and I had a strange day on Emiquon a few years later that was both puzzling and alarming. Carp Flotilla – The lake was literally littered with carp carcasses in varying stages of decay. Everywhere you looked there were bloated floating brown and white fish of the common carp variety. For my money, any dead carp is a good carp on this relatively new restoration project so I can’t say it hurt my feelings. Unfortunately, the frequent splashing and thrashing meant that there were still plenty more of the lake wreckers still swimming. I will say that I do enjoy catching and fighting carp but overall they are just bad news in terms of lake health. Luckily there was some wind and the temperature was not typical July as I’m sure the place would have been really ripe. I’m not sure what to make of the whole situation but it was certainly a new look. Now I realize that fish and fishing may not be the primary objectives of such restoration projects but they certainly play crucial roles. And the window of opportunity mentioned above leads me to the collective entity that makes up Potential Pitfall #9 to come your way tomorrow. Kicking off the Emiquon at 10 celebration is the following introductory post to a series that I wrote during the second summer of Emiquon’s public access. 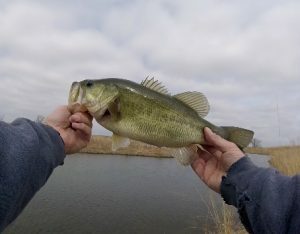 While The Emiquon Preserve has only been open to the angling public since April 20, 2009 and I’ve paid a grand total of eight visits, the spot has left quite an impression. As a result, I’ve decided to resort to the oft employed writing staple known as a “Top 10 List.” Following this Friday the 13th introductory post I intend to run down a list of “Emiquon’s Potential Pitfalls” over the course of the next couple weeks while working around some of my recurring items. Unlike many Top 10 lists, however, there is no particular order beyond what made sense in my head (thus there will be no accompanying drum roll sound effect as we near number one). But, first things first if you happen to be unfamiliar with this relatively new and certainly unique Illinois fishing hole. 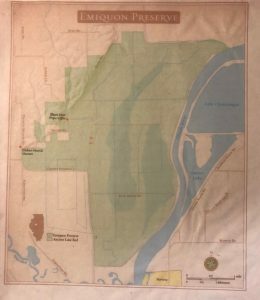 The area was once a fertile and ecologically diverse Illinois River backwater until drained and converted to agricultural ground in the 1920’s. The Nature Conservancy began acquiring ground in the early 2000’s and eventually the now isolated lakebed was once again allowed to fill. 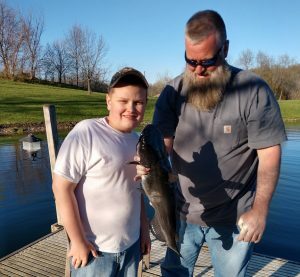 The lake was stocked with a variety of fish species including largemouth bass, crappie, channel catfish, bluegill, walleye and even record class pumpkinseed sunfish (but those stories belong to someone else). 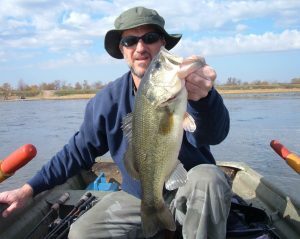 Well, the area opened to rave reviews for largemouth bass and I was fortunate enough to get a piece of the action on several occasions. Okay, while that’s the gist of the list I apologize for the bad Poison lyrics but sometimes I can’t help myself. If I haven’t lost you already, please stay tuned. Hey, we’ve got something besides a green fish this week, one with whiskers. And a good one at that, equaling the largest catfish submitted to date. 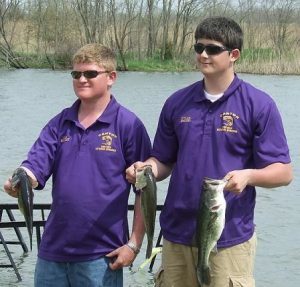 Both by the same young angler. Congrats, Teagan on an impressive catch that definitely required some skill and patience on that light line. 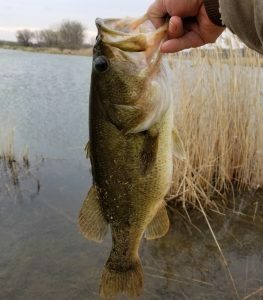 Looks like the area weather is headed for a pretty stable run of warm temps so here’s hoping those fish will finally be able to get their act together and let us fool some more. I encourage anyone out there to join the fun and send them my way at troy@troyjacksonoutdoors.com. Well, I managed to get on the water for a few hours over the holiday weekend. 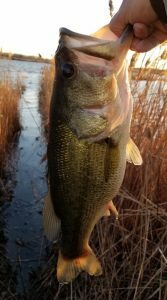 Good Friday was an unexpected quick trip to an area pond while Saturday found me playing fishing guide on an overdue outing. 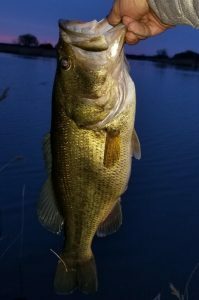 Neither day was particularly impressive but it’s not always about the fish so read on if you can relate to that concept. 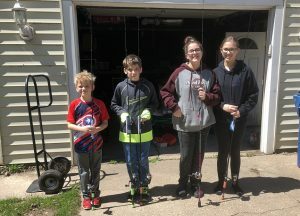 New Gear – Part of Easter came a day early for the kids as everybody got a new fishing pole upgrade (Jayce got two as I still owed him one from hid birthday last year). Zac, Jayce and Helena are now armed with Shakespeare spinning combos while Carly bumped up to a baitcasting rig as she already had the spinning combo covered. 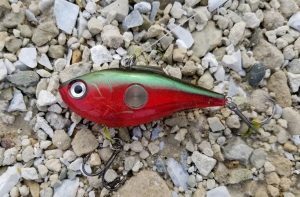 New Tricks – Jayce decided to go all in on bass as he had success on Cinco de Mayo 2018 at the spot but Easter weekend 2019 wasn’t as friendly as it pitched a shutout. 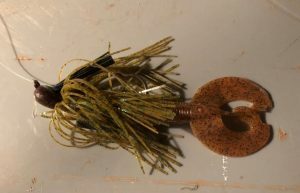 However, we managed to invest our time in learning about a couple new baits in a chatterbait and a spinnerbait. 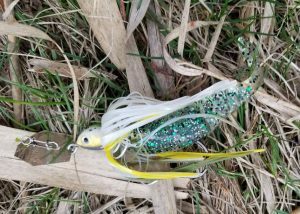 The spinnerbait is extra cool as it is a homemade model that Jayce received as a gift from Uncle Brent, a copy of his legendary Emiquon Special. Old Habit – Many years ago when Dad was teaching his kids outdoor stuff, a stop at an area shop was often in order to grab a soda and a bag of chips. Well, apparently the day end treat left a mark. 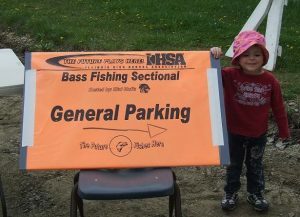 Our post fishing refreshments consisted of a Mountain Dew for me and some chocolate milk for Jayce while we shared bags of Sun Chips and Spicy Nacho Doritos. As you see, all is not lost when the fish get lockjaw. And it is always a treat to hang with one of the kids in a one on one setting, tough to do very often. Two hours in a truck and another hour hiking and casting provide some great father-son time. We talked of Run DMC, listened to a poor Cubs performance, reminisced about past outings and Jayce made me a proud dad upon correctly identifying “Ballroom Blitz” by Sweet after a mere handful of notes. 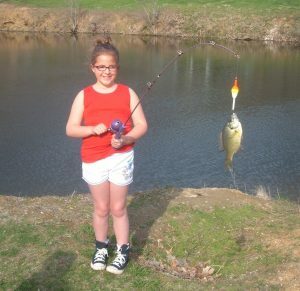 Ten Years ago today, a new fishing hole opened up in Fulton County. 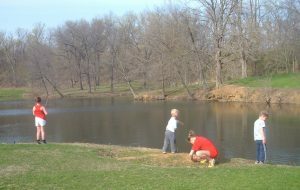 And, boy, what a fishing hole it was. A place known as The Emiquon Preserve or simply “Emiquon” to this fisherman. 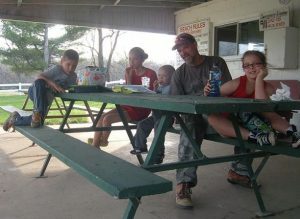 Between April 23, 2009 and July 25, 2013 I made nineteen trips with several family fishing partners down to the spot located southeast of Lewistown, Illinois. During those outings I managed to catch my current personal best bass, watched my brother, Brent, fall a few bass shy of the century mark one evening, observed some head shaking behavior from other anglers while fishing with Dad, caught bass in 105 degree air and 90 degree water temps with Julie, helped a guy with a treble hook stuck in his thumb (bass attached as well) and the list of adventures just keeps going from there. From that span of roughly four years, I managed to write over 50 blog postings on the site. 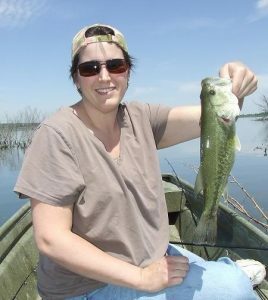 If there is anybody out there in cyberspace who has written more about Emiquon bass fishing than yours truly, I have yet to find them. And, yes, I’ve certainly looked. 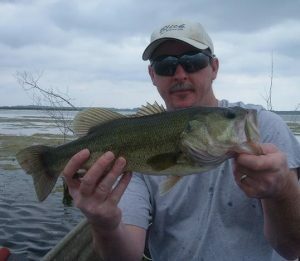 It’s hard to believe that for various reasons I’m now pushing six years since my last visit to the crazy fishing hole. A lot has changed down there according to the bits and pieces I have picked up in my routine wanderings on the web and most of it has not been for the better. But those are stories for someone more familiar with and knowledgeable of Emiquon’s current state than this blogger. Nope, for this year-long tenth birthday celebration it’s simply a look back at some of the writings I that have submitted over the years. 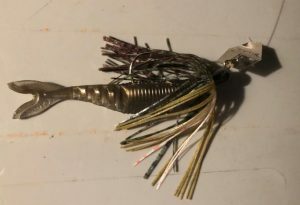 For starters, over the next couple weeks I plan on mixing in a batch of Emiquon posts amidst the regular features and hopefully a couple new fishing reports from this Easter weekend. 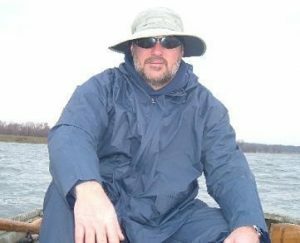 This first series of Emiquon posts are a Top 10 list of Emiquon perils first submitted in August of 2010 after roughly a year of fishing the spot. 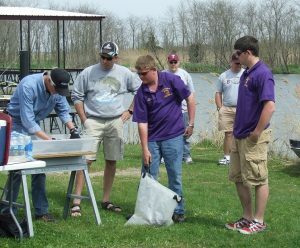 In addition, several Friday Flashback posts will feature a look back at some of those initial 2009 Emiquon visits. 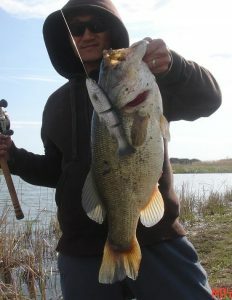 Well, I noted last week that one of our anglers was a catch away from hitting the 20-pound mark. Way to go, Jim Junk, that didn’t take long at all. And there was more than one quality catch for him since last update as reported below. However, the standard update structure lists our catches chronologically so first up you get the other guy who managed to get into double digits. 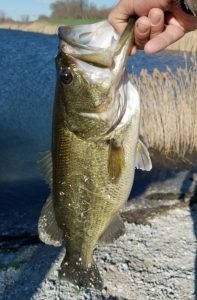 Angler Comments: With less than ten minutes to go before I needed to start walking back to my truck, I finally got a quality bite on what was a slow morning. Here’s to those catches that save the day. 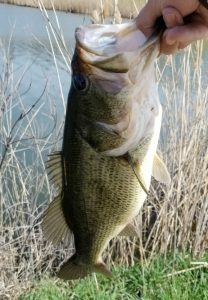 Angler Comments: Again, he almost jumped on the bank as I was beginning to lift the Clackin’ Rap out of the water. 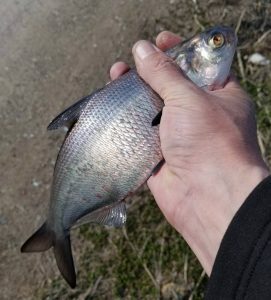 I saw his shadow before my lure, or him taking it. 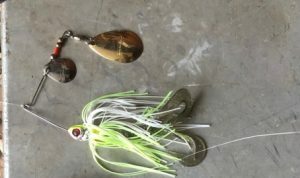 Angler Comments: Hit the white chatterbait as I worked a point with a strong wind at my back. A great start in spite of some temperamental early spring weather that currently has dumped a late batch of snow in the region along with sub-freezing temperatures greeting some this morning. It does look like better temps as the week proceeds but I’ll believe that when we see it.